H&D Information Technology, Inc. specializes in Information Technology (I.T. ), with strengths on various application software, I.T. courses, technical support, and customized professional training. We aim to achieve and perform the best after-sales service to our clients because we believe in nothing less than 100% customer satisfaction. Since 2000, we have been designing and supplying integrated computer curricula for our partner schools with students ranging from primary up to secondary levels. Moreover, we assist each school in the implementation of effective educational programs while enhancing the IT skills of the students. The mission of H&D is to advance knowledge and educate students in information technology, and other areas of computer studies that will best serve the nation and the world in the 21st century. The Institute is committed to generating, disseminating, and preserving knowledge, and to working with others to bring this knowledge to bear on the world’s great challenges. H&D is dedicated to providing its students with an education that combines rigorous academic study and the excitement of hands-on application with the support and intellectual stimulation of a diverse curriculum. We seek to develop in each member of the H&D community the ability and passion to work wisely, creatively, and effectively for the betterment of our countrymen. Happy D Workshop is our program that provides up-to-date computer curriculum specially designed for students from preschool to high school levels. It is flexible and customized based on I.T. requirements of individual schools. The program uses dynamic and advanced training methodologies. The program aims to help the schools develop and enhance the I.T. skills of the students in order to make them globally competitive and proficient in today’s technology-driven society. 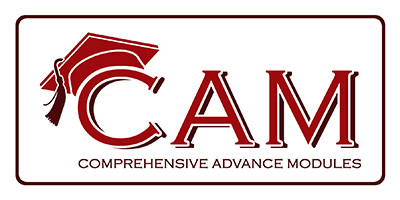 Comprehensive Advanced Modules or CAM is the newest program of H&D designed for senior high school students. It aims to provide the school an ICT curriculum that leads to specific Tech-Voc track such as Computer Programming NC III and Computer Hardware System NC II.